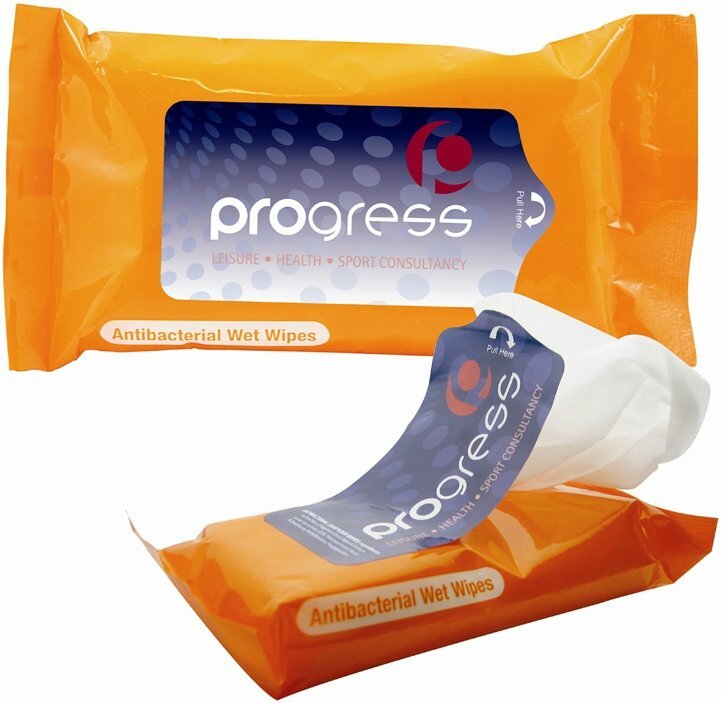 Get your logo printed on travel care Antibacterial Wet Wipes Pack. Applications include conventions, conferences, women's events. Features are easy open-close plastic pack w/ 15 white wipes. Removes up to 99 % of most germs when used properly. Overall size of the wipe pack is 5 1/4 wide x 3 high. Price includes almost unlimited print colors in area 2 3/4" w x 1 1/4" h.
Factory setup charge $50.00. Printed on White decal only.